Cities Connection Project | CPC SPORTS HALL. CHIASSO. 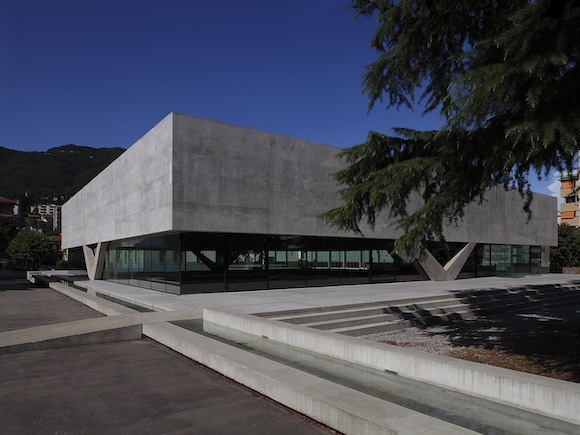 The placement of the new double gymnasium in the con- text of the school campus and museum at the centre of Chiasso allows various relationships with these important urban planning elements. The main volume of the sports hall is built on a square floor plan and has a partially pro- tuding base. 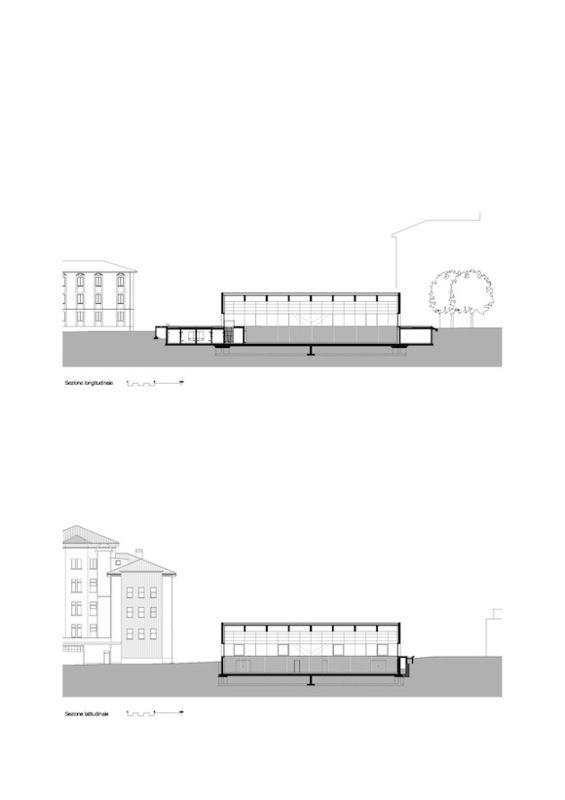 While the sports hall has no privileged ori- entation and assumes the character of a public space, the base reacts to the different situation and topographical divergences. To highlight the duality of the base and the visible volume of the sports hall, the latter is deteched from it and hovers on all four sides upon a pointed bear- ing. The detachment of the main volume provides the lighting for the interior and connects it with various ur- ban and landscape elements in the vicinity.